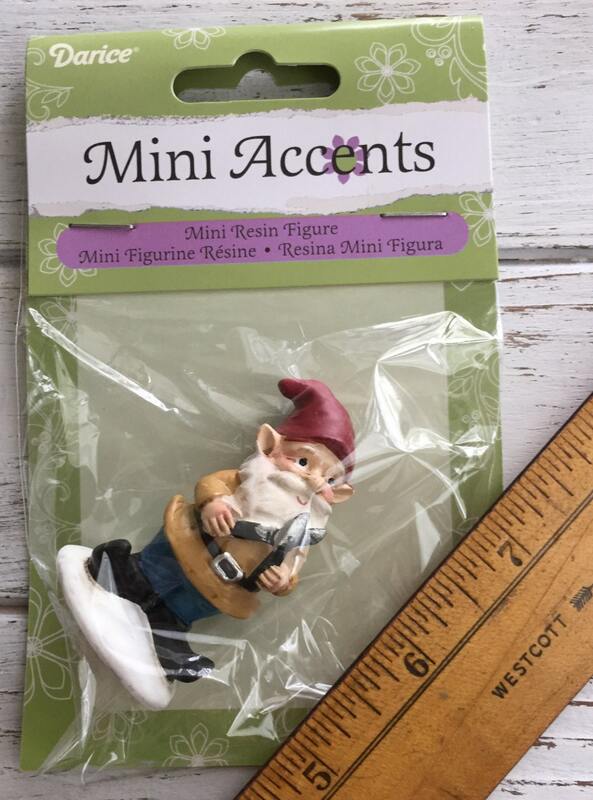 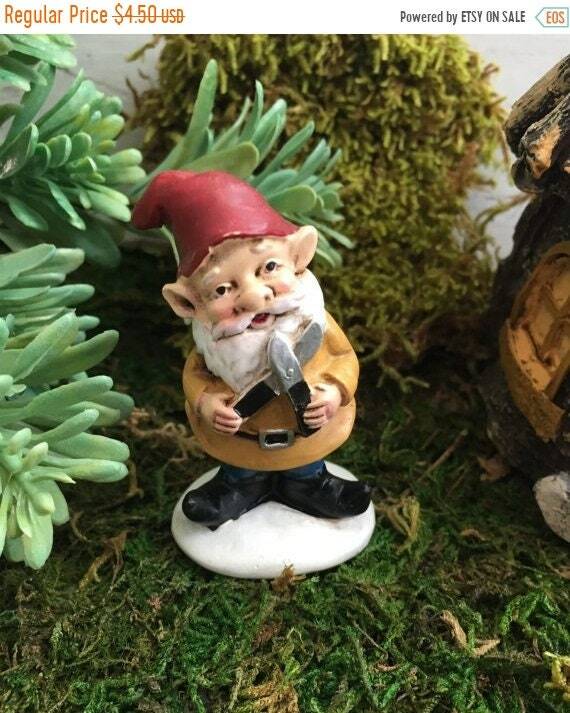 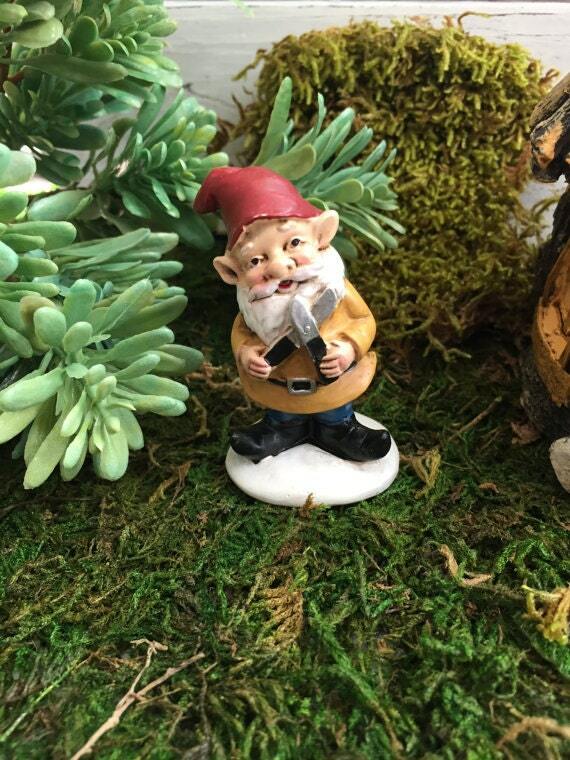 Adorable, detailed resin Garden Gnome working in the garden. 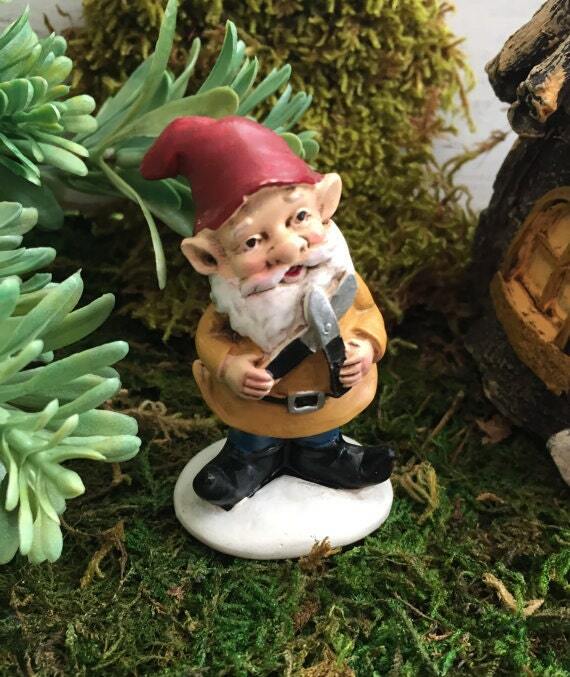 Wears Gold Top and Red Hat. 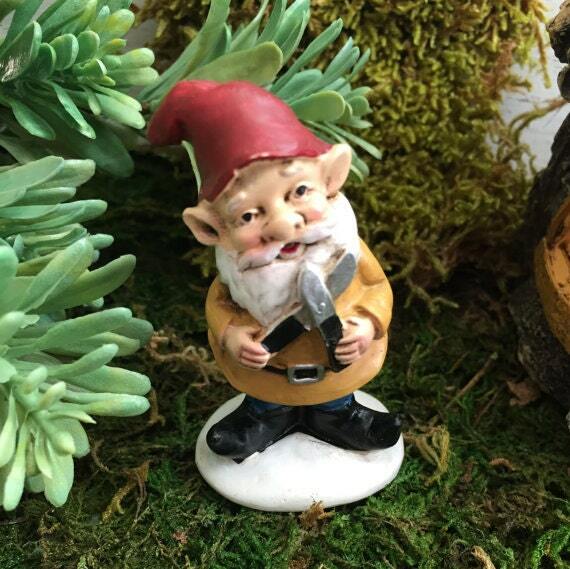 The Yard and Garden Collection© is perfect for creating your own tiny world.